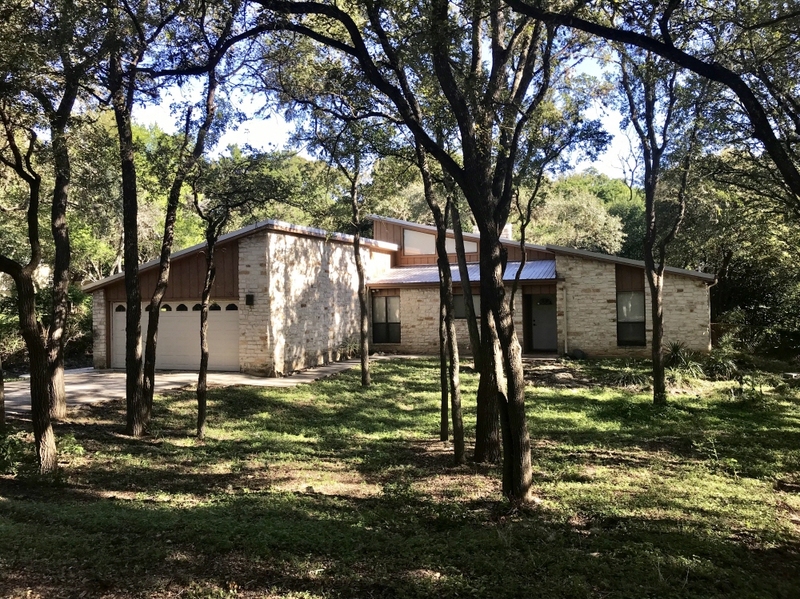 Beautiful hill country home located in a very private and secluded part of the San Marcos Historic District. Home offers 3 bedrooms and 2 full baths with a private split floor plan. Architecturally beautiful with high arching ceilings and great natural lighting throughout. Open concept living wth the kitchen open to the living area and a stunning fireplace as a focal feature. Great piece of land, beautiful tree canopy, two car garage, xeriscape and a fantastic large outdoor deck living area. A short walk to downtown and university.